Lack of fairness and transparency in the assignment restrictions process undercuts both employees and the State Department. Asian-American employees took it on. For many years State Department employees from particular ethnic backgrounds have faced barriers to particular assignments. The process has precluded some Foreign Service and Civil Service employees from serving in certain posts overseas or taking up some domestic positions and even short-term, overseas temporary duty assignments based on their ethnicity. The assignment restrictions issue has been a long-standing one for Asian Americans at the department. The Asian-Pacific American Foreign Affairs Council was founded in 1981 to support equal employment opportunity for Asian American and Pacific Islander officers. Renamed the Asian American Foreign Affairs Association in 2007, the association supports the equal employment opportunity mission of the foreign affairs agencies and supports the career advancement of AAPI employees by organizing and hosting career development and leadership seminars, and utilizing the experience and skills of highranking officials to impart knowledge on the next generation of AAPI leaders. Today, AAFAA is an association of some 750 Civil Service and Foreign Service officers, specialists, fellows, contractors, interns and retirees, with the mission to improve recruitment, outreach and professional development of AAPI officers at the State Department. Employees’ concerns regarding the assignment restrictions process were plentiful: it was unfair, lacked transparency and was based on ethnic origin or family heritage. Our advocacy to the State Department on the issue began in 2009 and continued in earnest through 2016. The case was framed by input from countless numbers of employees who came to us expressing real frustration, disillusionment and anger over the lack of transparency and accountability in the process. In some cases, the department had prioritized hiring these officers because of their language skills, only to turn around and preclude them from using those valued language skills overseas. While assignment restrictions affect many State department employees of different backgrounds, we accumulated substantial anecdotal evidence that it has disproportionately affected employees of AAPI descent. Our data suggested assignment restrictions were levied with race as a factor, with disregard for mitigating circumstances and even based on incorrect facts. This seemingly disparate impact of the adjudicative process on AAPI employees was harmful to morale, restricting employees from using their language and cultural expertise to further diplomacy, diverting careers and hindering the full use of the department’s diverse workforce. This also created the perception that assignment restriction decisions were based on ethnic origin and ill-defined concerns that AAPI employees may be vulnerable to foreign influence or preference, or that the employees themselves were threats rather than the targets of foreign influence. For example, some employees were prohibited from serving in China, even though they did not have close and continuing contacts there. Meanwhile, AAFAA observed that employees of other races who did possess such connections were not barred. Such disparate treatment fueled suspicions of bias, unconscious or otherwise, against AAPI employees. In some cases, the department had prioritized hiring these officers because of their language skills, only to turn around and preclude them from using those valued language skills overseas. The lack of oversight and transparency for assignment restrictions exacerbated the problem. Working with the American Foreign Service Association, we discovered that the process for restricting employees from assignment in certain countries was not grounded in any regulation or guideline, and thus lacked an adequate appeals process. In other words, employees affected by assignment restrictions had no opportunity to appeal that decision. We also found that the department did not maintain demographic data related to assignment restrictions, even though such information is essential for evaluating the fairness of these programs. Without such records, it is unknown who faces assignment restrictions, for what reasons, and to which ethnic and racial groups they belong. Such information gaps rendered transparency and oversight for these programs impossible. The impact of these procedural deficiencies was serious, for both the State Department and AAPI employees. The department recruits many AAPI employees to draw on their abilities in superhard languages and cultural expertise. Unwarranted assignment restrictions deny such employees the opportunity to contribute these abilities, thereby hindering the department’s efforts to utilize its diverse workforce and better use limited resources. Ultimately, these issues damaged the inclusive professional atmosphere the department seeks to foster and that remains essential to its mission. To remedy the above-mentioned problems, AAFAA worked diligently over the years to advocate for increasing the transparency and fairness of assignment restrictions and to bring this matter to the most senior levels of the department in an effort to seek a resolution. We pushed this issue forward despite concerns about possible detriment to our own professional career advancement, but with the greater good of all our colleagues and the State Department in mind. Successive presidents of AAFAA consulted with lawyers and senior leaders in the department to try to work within the system to advocate for change. Mariju Bofill first raised the issue with the Secretary of State in 2009, after consultations with the department’s legal advisor, and continued to raise it during the following three years. 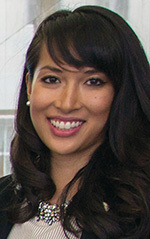 Cecilia Choi took the baton in 2012, working with the Bureau of Diplomatic Security to try to come to a fair solution. In 2013, The Washington Post featured an article on the subject, “At the State Department, Diversity Can Count Against You,” highlighting the perspectives of several Foreign Service officers. In 2015, Thomas Wong presented a white paper to then- Deputy Secretaries of State Antony Blinken and Heather Higginbottom, requesting the establishment of an independent and timely appeal mechanism. Along with then-AFSA Vice President Matthew Asada, he organized an event featuring panel speakers from DS and the U.S. Equal Employment Opportunity Commission to discuss the issue directly with department employees. We pushed this issue forward despite concerns about possible detriment to our own professional career advancement. Assuming the AAFAA presidency in 2016, Christina Le continued to raise assignment restrictions with Deputy Secretary Higginbottom throughout the summer of 2016, asking her to press DS to establish language in the Foreign Affairs Manual. Ms. Le raised the topic with AFSA President Ambassador Barbara Stephenson and met with AFSA Vice President Angie Bryan on multiple occasions to discuss AAFAA members’ concerns. AFSA was a strong supporter of AAFAA’s request, and played an integral role in the negotiations with DS to ensure the language for the FAM is fair and reflects the interests of AAFAA. In October 2016 President Barack Obama released a presidential memorandum, “Promoting Diversity and Inclusion in the National Security Workforce.” In particular, Section 2(c) covers the need for all national security agencies, among them the Department of State, to institute a review process for security and counterintelligence determinations that result in assignment restrictions. Section 3(c) makes “unconscious bias training mandatory for senior leadership and management positions, as well as for those responsible for outreach, recruitment, hiring, career development, promotion and security clearance adjudication” (italics added). Finally, at the end of 2016, the State Department published new assignment restrictions guidelines in the Foreign Affairs Manual. 12 FAM 233.5 addresses the reforms we requested: notification to employees of the factual grounds for their assignment restriction; the opportunity to request a second review of the decision by the director of the Bureau of Diplomatic Security (principal deputy assistant secretary of State for DS/DSS) and submit updated information for reconsideration; and empowerment of the director to reverse improperly imposed assignment restrictions. The new FAM language is a welcome step toward establishing the transparency, fairness and accountability on which the State Department prides itself. Ultimately the new process should allow the department to fully deploy its most valuable resource—its people—to places where U.S. interests will best be advanced. We are proud that our dissent led to this important change in department policy and applaud the department for its efforts to provide more oversight and transparency in the assignment restrictions process. We are tremendously grateful to former Deputy Secretaries Blinken and Higginbottom; our past and present leadership liaisons, Legal Advisor Harold Koh and Ambassadors Hans Klemm and Alexander Arvizu; AFSA; and DS for their leadership and advocacy. This newly articulated process, which includes the opportunity to provide additional relevant information, will benefit not only AAFAA members but all State employees. The new process will create a more transparent and equitable environment for those affected by assignment restrictions. Thanks go to some two dozen employees for their moral courage in coming forward, both publicly and privately, and sharing their personal stories with us, enabling us to frame our advocacy on the issue. We also thank all AAFAA members who have been involved in this process over the years, including former AFSA Vice President Matthew Asada, for their support, hard work and resolute efforts to effect positive change, all while working within a bureaucratic system that was often inflexible and unyielding. As a group, we tested the system, stood firm, offered a constructive way forward and, in the end, made a lasting, positive impact on the State Department and its workforce. Christina T. Le is a career Foreign Service officer currently in long-term language training for her next assignment, to Japan. She has previously served in the Bureau of Intelligence and Research, on the Philippines desk in the Bureau of East Asian & Pacific Affairs, and overseas in Greece and Mexico. Thomas T. Wong is a Foreign Service officer assigned to the American Institute in Taiwan in Taipei. His previous postings include Guadalajara and consecutive tours in Washington in the Bureau of Western Hemisphere Affairs. 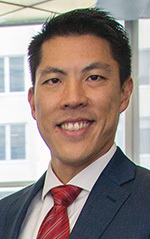 Prior to joining the Foreign Service in 2010, Mr. Wong served in the U.S. Army. His wife, Suzanne Wong, is also a Foreign Service officer and they have two children. Christina Le and Thomas Wong are the current and past presidents of the Asian American Foreign Affairs Association, respectively. The views expressed in this article are theirs and do not necessarily reflect the views of the Department of State or U.S. government. Le, Wong and their colleagues Mariju L. Bofill and Cecilia S. Choi received this year’s William R. Rivkin Award for Constructive Dissent by a Mid-Level Officer.